Hi everyone! I'm sorry I've been MIA for the past few days! I've been super busy with the new Elixir collection, as well as a super fun weekend camping trip with our oldest son and some friends. I came home on Sunday evening to find a particularly awesome piece of nail mail, and I knew I had to share a bit of it with you! 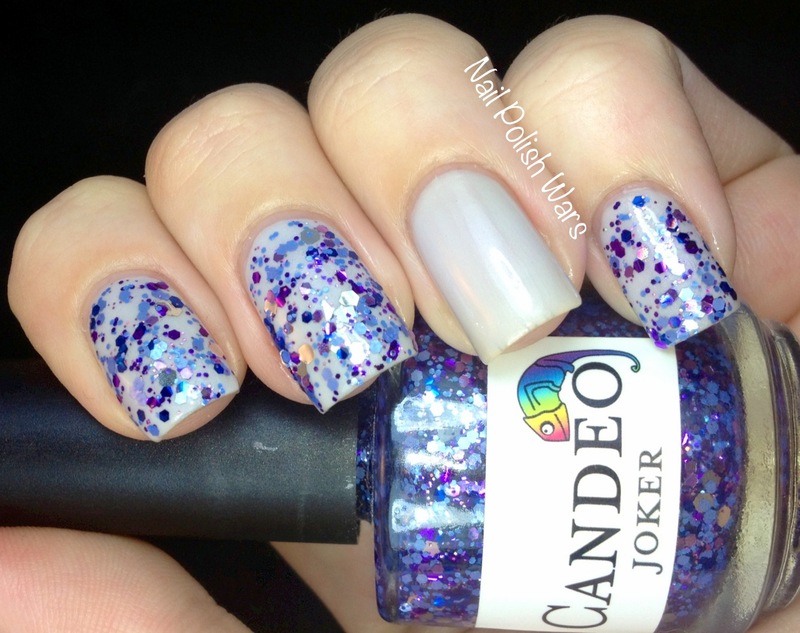 I started off with three coats of OPI Moon Over Mumbai, a sheer off white shimmer with some blue/grey undertones. I followed it with one coat of SV. It's a complete glitterbomb! Like I said, this is only one coat! I left my ring finger blank to create and accent nail. 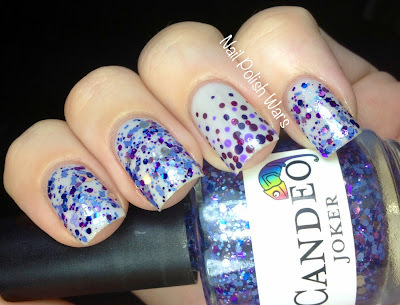 I used my small dotting tool with Zoya Monica, Zoya Carly, Essie No More Film, and Color Club Pucci-licious to create a dotted gradient on my ring fingers. I finished with one coat of Poshé. I adore the look of the dotted gradient paired with Joker. Joker is a seriously amazing glitter, but I could have done with a little less glitterbombage. It's just a teeny bit much, but it's still gorgeous. I hope you all enjoy today's mani! Awesome! I have "Moon Over Mumbai" and I hated it when I first used it. 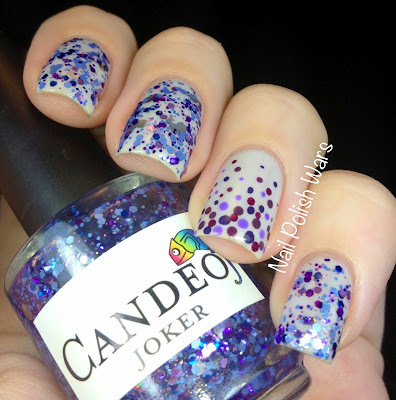 I think I'm going to give it another try after seeing this mani! Love this mani!! Now I need BOTH polishes!!!! i love the dot accent nail! I don't know which I love more...the glitter or the accent nail? You make that stuff look good! You keep pulling off one awesome look after another! 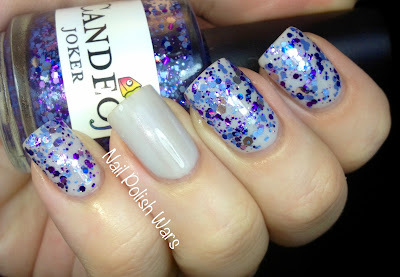 I am so smitten with your dotted / glitter manicures! Each one goes into my to-try bin. You make stuff look good and easy! OMG!!! How come such gorgeous nails! 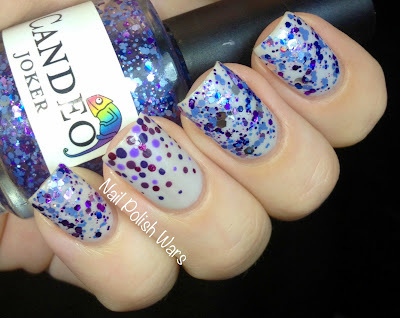 These glitters are stunning! Yes, I've just loved this mani!